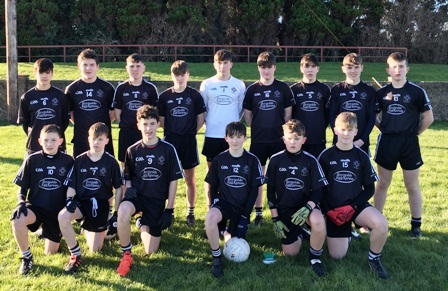 Walterstown were warmly welcomed to the Louth county grounds for the first match in Leinster GAA’s under 15 cross county competition. With a month of training under their belts the lads were looking forward to the first competitive fixture. A well-prepared Walterstown team started the encounter very well and raced into a commanding lead quite quickly. As the match progressed the lead steadily increased and over the course of 60 minutes of football the lads put on very good display and an accomplished team performance which was appreciated by the coaching staff. O’Raghallaighs battled well throughout but the team in black were too quick and too strong and ran out comfortable winners. After the game refreshments were provided by our opponents and this was warmly appreciated by all in attendance. Many thanks to our Louth neighbours for their kind hospitality. Next round takes place at home on Saturday 09th @ 2.30pm where Walterstown welcome Cooley Kickhams. All support welcomed.